What is the true content and who are the signatories of this lethal covenant? There are different theories about this agreement. Many Bible prophecy teachers today believe that its content is involved with bringing about Mideast peace between Israel and the Arabs in general, and the Palestinians more specifically, perhaps, a 2-state or 1-state solution. However, there appears to be no scriptural support for this geo-political scenario. In fact, the Bible predicts the illusive peace that Israel desperately seeks will be achieved militarily, rather than diplomatically. This article, which is taken from my book entitled, Apocalypse Road, Revelation for the Final Generation, explores the intricacies of the false covenant. This article provides a cursory explanation of what is thoroughly expounded upon within the book. 1. The Antichrist confirms it. 2. Israel is a signatory of it. 3. The seven-year term of it. 4. The breach of it after three and one-half years by the Antichrist. Unfortunately, Daniel does not provide some of the other significant details about this world changing covenant. Fortunately, Isaiah does! Over 100 years before Daniel penned is prophetic foretellings, Isaiah authored his. 1. The identity of the other signatories called Death and Sheol. 3. The contemptuous political mindset of the leaders of Israel when the covenant is confirmed. 4. The deceitful nature of the covenant. It is a covenant comprised of lies and falsehood. Isaiah 28:15 beckons at least three important questions. 1.	Who are Death and Sheol? 2. What is the Overflowing Scourge? 3.	Who is committing the Overflowing Scourge? 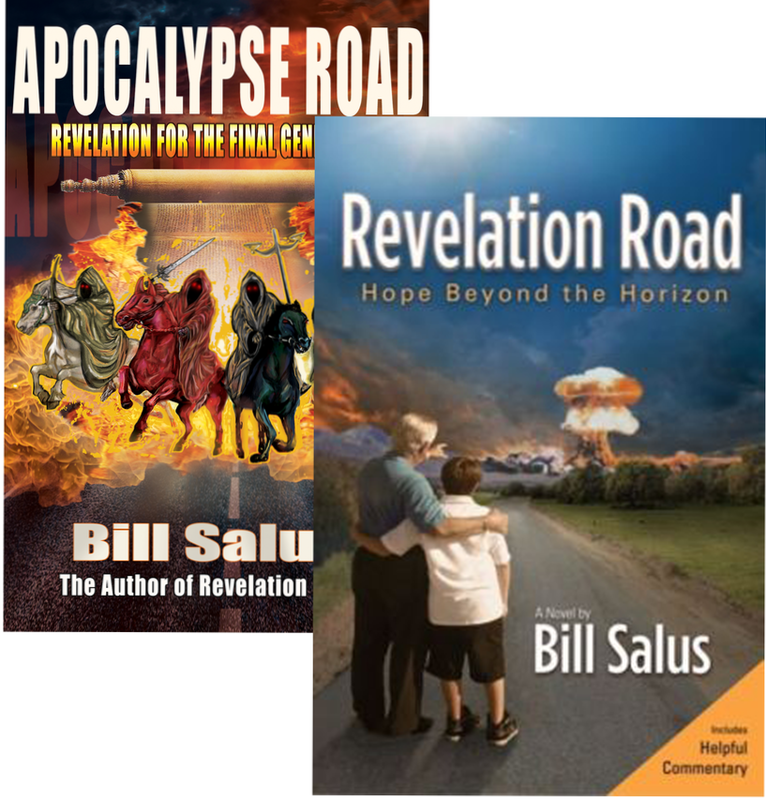 In Apocalypse Road, I explain the probable connection between Death and Sheol and the fourth horsemen, Death and Hades, in the book of Revelation. Death and Hades, which is the Greek translation of the Hebrew word Sheol, appears to represent a global church and state alliance that is put in place to restore order amidst the backdrop of world chaos, which will have been previously brought about by the first three horsemen of the Apocalypse. The system of the fourth horsemen has control over a quarter of the world’s population, which it employs to kill dissidents of the global order mandates. As you are about to discover, this includes people who become Christian believers after the Rapture. Death deals with the material departure of a being from its body and Hades is concerned with the immaterial aspect of a person after death, which is their soul. Heaven and Hades are polar opposites of each other in the New Testament. When a believer dies, their soul goes to heaven, but when an unbeliever dies, their soul departs for Hades. The traditional teaching is that Death and Hades kill a fourth of mankind, but that’s not necessarily what’s being said in Revelation 6:8. Compare the differences in language between the fourth seal and the sixth trumpet in the book of Revelation. This above verse clearly states that a third of mankind was killed by the three plagues that followed the sounding of the sixth trumpet. However, Revelation 6:8 says that, “And power was given to them over a fourth of the earth, to kill with sword, with hunger, with death, and by the beasts of the earth.” It may mean that Death and Hades kill a fourth of the earth’s population, but more than likely it implies that a quarter of the world’s population are faithful followers of Death and Hades. These are devotees so committed to their cause that they are willing to kill their opposition. The fact that Hades takes a lead role in this massive operation infers that this involves a global religious crusade. This future scenario appears to be reminiscent of the historical inquisition periods when Roman Catholicism was martyring the so-called Protestant heretics centuries ago. According to Isaiah 28:15-18, the overflowing scourge occurs in two stages. The first phase likely represents the discriminate killings taking place worldwide by Death and Hades. Among the unfortunate victims of this global system are the fifth seal saints. These are people likely alive today that become believers of Christ after the Rapture. They disagree with the religious ways and political means of the global order and as a result they are slain for their faith. They may not be the only victims of the overflowing scourge being perpetrated by Death and Hades, but they are definitely one of them. When it comes to the martyrdom of believers after the Rapture, there are only two primary perpetrators of these targeted killings. The first culprit is the Harlot World Religion of Revelation 17 and the second is the Antichrist in Revelation 13. 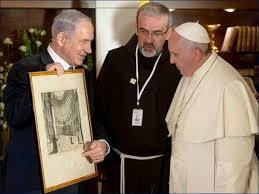 These both represent religiously charged global killing crusades. These two murderous campaigns are responsible for the slayings of 3 groups of Post-Rapture Christian Martyrs. 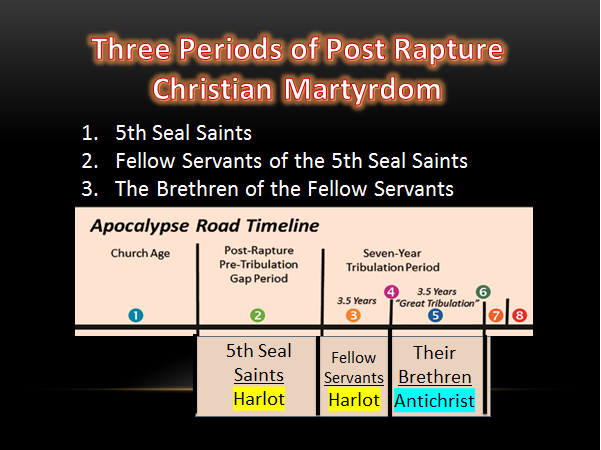 The Lord’s response to the pleadings of the 5th Seal Saints identifies the three groups of Post-Rapture Christian Martyrs. The timeline image identifies them along with their associated periods of martyrdom. The image displays the time periods of the two killing campaigns. 1. The first period is the Harlot of Rev. 17:6, which was previously quoted, who is drunk with the blood of the saints and the martyrs of Jesus. Rev. 17:16-17 informs that the Harlot eventually gets desolated to make way for the global establishment of the Antichrist’s kingdom. 2. The Second period is involved with the Antichrist in the book of Revelation. With the understandings above, it is time to explore the true content of the false covenant. There are some scriptural hints that shed some light on what motivates Israel to become a signatory of the false covenant. Understanding these clues provides insights as to what some of the content of the covenant might be. Before identifying the clues, it is important to understand the political mindset of Israel at the time that the overflowing scourge is taking place. Israel agrees to the false covenant in order to avoid this scourge. Isaiah 18:14 says that the political leaders are scornful rulers. As deniers of Jesus Christ as the Messiah, they are leading the nation in the wrong direction at a time when Israel is greatly empowered from its major war victories in Psalm 83 and Ezekiel 38-39. These wars appear to find fulfillment prior to the commencement of the 7-year Tribulation Period. In the aftermath of these impressive victories, the leaders of Israel will be inclined to reinstate the historic Mosaic Law, build their third temple and make the sacrifices and offerings spoken of in Daniel 9:27 above. They will not believe in the gospel being preached by the three groups of martyred believers, nor will they believe in the counterfeit gospel being promoted by the Harlot world religion. The scornful Israeli leaders will be of the mindset that once the Jewish Temple is constructed, the Jewish Messiah will come. Moreover, once the Messiah comes, he will eradicate the false teachings of the Harlot and usher the nation of Israel into the Messianic Kingdom, which is the highpoint of all Old Testament prophecies. Identified below are some hints that suggest the false covenant has something to do with the construction of the Third Temple. The first clues are contained in Isaiah 28:16-17. These two verses are sandwiched in between Isaiah 28:15 and 18, which are the verses referring to the false covenant. These passages use terms like a “tried stone,” a “precious cornerstone,” a “sure foundation,” a “measuring line” and a “plummet.” These are terms that can find association with constructing a Jewish Temple. To build the Temple, you start with a tried stone that becomes the precious cornerstone. This cornerstone has a sure foundation built around it. The length and width dimensions of a building needs to be calculated with a measuring line, and the vertical accuracy of a structure is determined with a plummet, (plumb-line). A second clue is found in Daniel 9:27, which also is a proof text verse regarded with the false covenant. Jesus Christ foretells that this event predicted by Daniel happens in the holy place, which represents the Third Jewish Temple at the time. The intimations in these related verses above are that by the middle of the Tribulation Period the Third Jewish Temple will exist. The Antichrist will make a bold statement by entering this Temple and stopping the priestly sacrifice and offering occurring therein. This is in fulfillment of Isaiah 28:18, which says the false covenant will be annulled. What better way to dissolve a covenant than to void out its terms? If the true content of the false covenant allowed the Jews to build their Temple and perform sacrifices and offerings inside of it, then the action taken by the Antichrist to go into the Temple and stop the sacrifice and offering terminates the contract. A third clue is in the book of Revelation. Several important details are provided in these passages below concerning the benefits to both parties of the covenant. These verses describe what happens in the immediate aftermath of the ratification of the false covenant. The time frame of “forty-two months” and “twelve hundred and sixty days” are commonly taught to allude to the first half of the Tribulation Period. Thus, the very first thing that appears to happen as part of the implementation of the covenant is that the Temple gets measured for its construction. 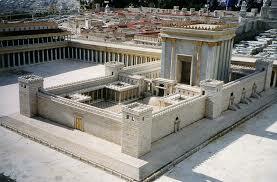 The apostle John is given a measuring rod and instructed to measure the temple of God, alluding to the Third Temple. If the covenant called for the construction of the Temple, then this would be one of the first order of events. Measure it so that it can be built. This article has provided a brief overview of the events that I believe prompts Israel to become a signatory of the false covenant. The Apocalypse Road book explains the above in far greater detail. If you have questions or concerns about the content of this article, I strongly recommend that you read the thorough explanations provided within the book. Israel’s motivation to sign on to the false covenant is to avoid an overflowing scourge sweeping through the earth in the last days. The benefits for Israel are to build their Temple, hasten the coming of their Messiah and ultimately enter into the Messianic Kingdom period. They do not want to be the next victim of Death and Hades, which is also the Harlot world religion of Revelation 17. In Apocalypse Road, I clearly identify this idolatrous religion as Roman Catholicism. The Harlot is drunk with the blood of the saints, (in the past Catholic inquisitions), and with the blood of the martyrs of Jesus, (in the future). 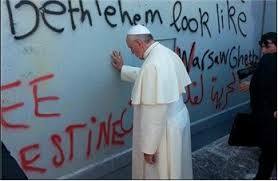 The Jews don’t want the Harlot’s hands also stained with their blood, (in the future). Thus, they covenant with the Harlot. The Jews get to build their Temple and the Catholic Church gets to trample upon the streets of Jerusalem and control the outer court associated with the Temple. The Jews reason that the means of signing this deceitful covenant, which according to Isaiah 28:15 is based upon lies and falsehood, justifies the ends of invoking the coming of the Messiah. In their estimation, once the Messiah comes, He eliminates the pagan Harlot system. They believe that in the end, it’s the Harlot and not them, who gets the short end of the stick in this seven-year covenant.